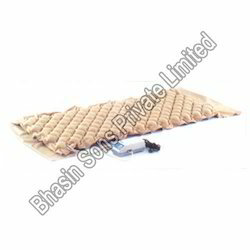 With the sound state-of-art-infrastructure, we involved in manufacturing and exporting Air mattress. These designed contemporarily and provide additional comfort for the patients. It is easy to handle simple structure and require small amount of space to store. This is commonly preferred by the acupuncture treatments. Our products are valued for its longer service life and portability. Additionally we offer air pumping equipment for filling the air without any stress. 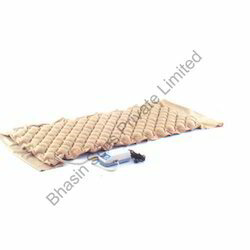 We are way forward in manufacturing and exporting an assortment of Anti Decubitus Air Compress Mattress. These products are designed with most recent technology and superior machinery with extreme quality woolen materials. These mattresses are effectively designed with heat resistant and also they are used for the children. This product provides comfort for the child with good resistant to water. Our products are used at maternity wards and child care units. Looking for Hospital Matress ?